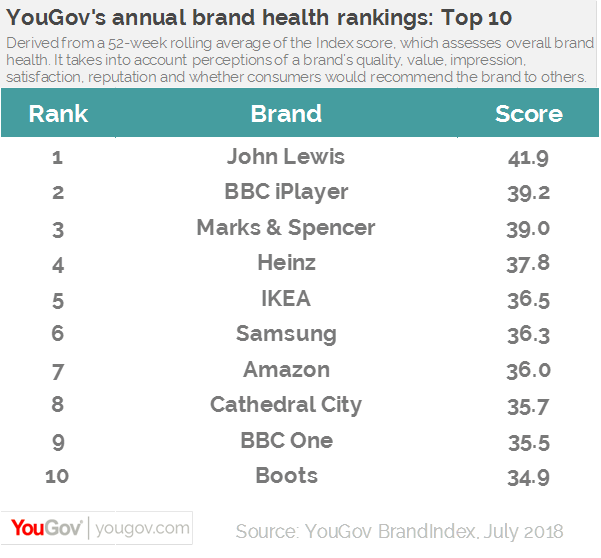 Google has retained its top spot in YouGov's BrandIndex global brand health ranking - while Facebook falls two places to fifth in the list. The global list is based on six million interviews over the year to June 2018, and compiles the scores from 26 national rankings, each of which is based on the average of 52 weekly scores. Like last year, the top 10 is dominated by tech brands, with YouTube also holding its place at number two. 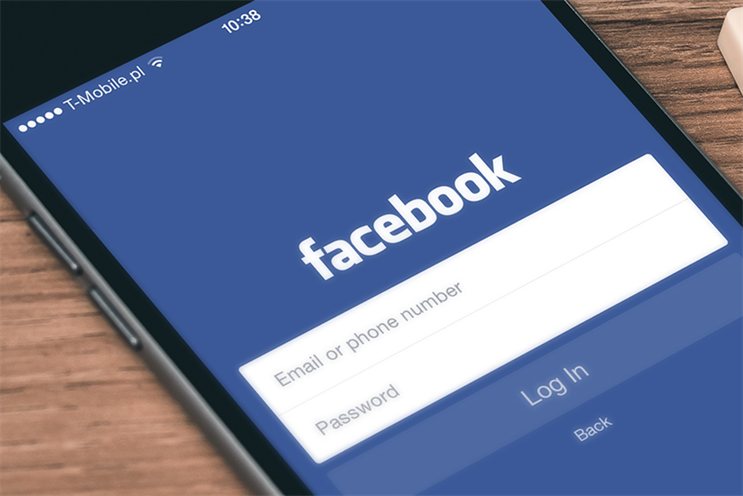 Samsung and WhatsApp each climb one place to three and four respectively, overtaking Facebook, while Amazon is up one place to sixth. Outside of tech, Colgate climbs two places to eighth, while Ikea (7), Uniqlo (9) and Lego (10) are new entries in the top ten. Meanwhile iPhone, Toyota and Adidas, which were ranked sixth, eighth and ninth last year, fall out of the top 10. In the UK ranking, John Lewis and BBC iPlayer retain the top two spots, while Marks & Spencer is up a place to three. Last year’s third placed brand, Sony, falls out of the top 10 – one of only two brands to do so, along with BBC Two, which was ninth last year. They were replaced by Ikea, at five, and Cathedral City, at eight. 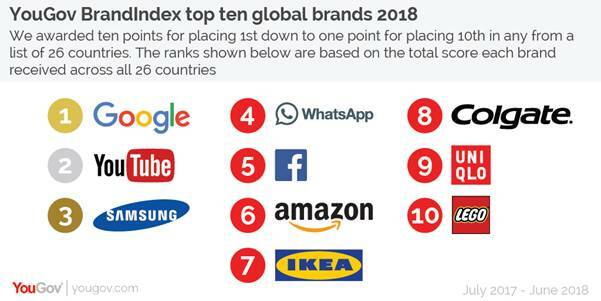 But despite eight brands retaining their spot in the top ten, seven of them have seen a decline in their BrandIndex score, the measure used to compile the ranking, which takes into account perceptions of quality, value, impression, satisfaction, reputation and recommendation. Only Heinz, which rose from eighth to fourth, managed to slightly increase its score. Amelia Brophy, YouGov’s head of brands, said the UK ranking proved that the relationship between business success, news coverage and brand health was complicated. "Over the past year the retail sector has struggled to combat problems arising from ferocious online competition and increased business costs," Brophy said. "However, in the face of this, the public clearly retains an affection for traditional high street brands with long and rich histories, such as John Lewis and Marks & Spencer. Similarly, the BBC has faced challenging headlines over the past 12 month. But the public clearly still rates what the corporation offers and iPlayer and BBC One continue to be in strong brand health." Is M & S a victim of its own strengths?